Values for thermal diffusivity are adapted from Williams and Smith (1989) and Slaymaker and Kelly (2007) (see chapter 1). Northern Hemisphere permafrost area is from Zhang et al. (2008) and the map data for the figure are from Brown et al. (1998, updated 2001), also given in chapter 1. Mackay (1972) and Osterkamp (2001) discuss subsea permafrost. Modeling of permafrost thermodynamics is discussed by Osterkamp (1987) and Romanovsky et al. (1997). Zhang (2005) reviews the thermal effects of snow cover on permafrost and active layer thickness. Borehole temperature records in Alaska are quoted from Lachenbruch and Marshall (1986). Lemke et al. (2007) (see chapter 1) discuss the larger-scale record of recent climate change documented in borehole temperatures in permafrost. Lachenbruch, A.H., and B.V. Marshall (1986). Changing climate: Geothermal evidence from permafrost in the Alaskan Arctic. Science, 234, 689-696. Mackay, J.R. (1972). Offshore permafrost and ground ice, southern Beaufort Sea, Canada. Canadian Journal of Earth Science, 9, 1550-1561. Osterkamp, T.E. (1987). Freezing and thawing of soils and permafrost containing unfrozen water or brine. Water Resources Research, 23 (12), 2279-2285. Osterkamp, T.E. (2001). Sub-sea permafrost. In: Encyclopedia of Ocean Sciences. Academic Press, San Diego, CA, pp. 2902-2912. Romanovsky, V.E., T.E. Osterkamp, and N.S. Duxbury (1997). An evaluation of three numerical models used in simulations of the active layer and permafrost temperature regimes. Cold Regions Science and Technology, 26 (3), 195-203. Zhang, T. (2005). 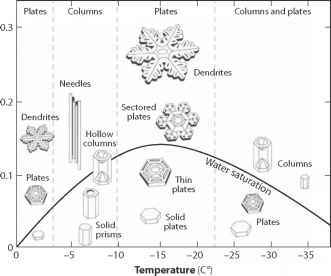 Influence of the seasonal snow cover on the ground thermal regime: An overview. Reviews of Geophysics, 43, RG4002, doi:10.1029/2004RG000157.